When students master foundational skills in elementary, middle, and high school, they’re more likely to succeed in college, career, and life. 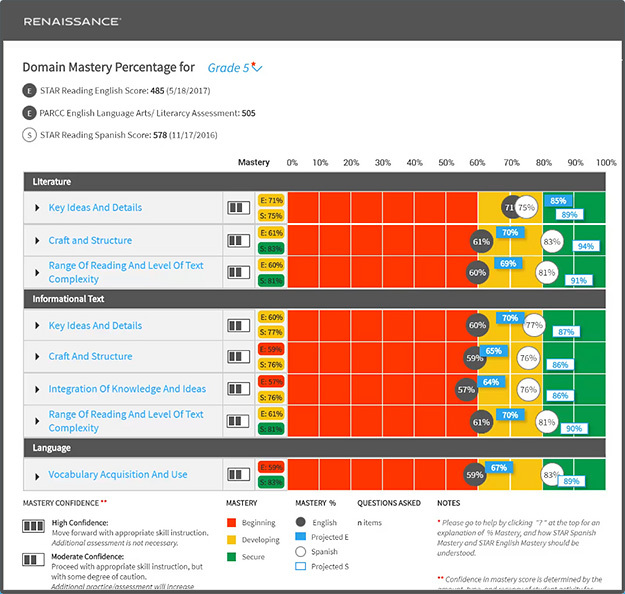 Unique to Renaissance, the Renaissance Mastery Model tracks student data from multiple sources, including Star Assessments, Star Custom, and state summative tests (PARCC, Smarter Balanced, ACT Aspire) all in one place to provide a unified measure of mastery, helping you make informed decisions and guide your students toward success. Drill down and gain insight into grade-level domains, standards, skills, and sub-skills students have mastered. Compare students' proficiency in English and Spanish side-by-side. Gain an understanding of where students are at and predict their future performance. 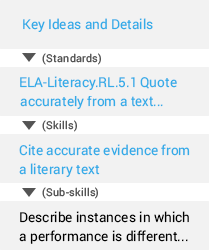 The Renaissance mastery model automates the tracking and reporting of student data from a wide variety of sources, and converts that data into a unified measure of mastery, helping teachers make timely and informed decisions about all students’ learning.